We host and participate in a variety of “Hands-On” service opportunities throughout Orange County. The work is local, but the impact is worldwide. email an Outreach leader with the information at the bottom of the page. Join this outreach to the homeless of Costa Mesa. 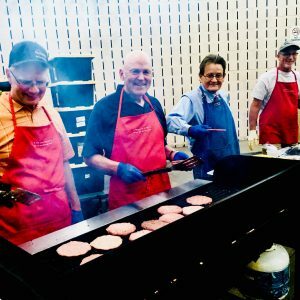 Help cook and serve breakfast while sharing the love of Jesus with the community. Help sew, make, or assemble kits for women to support personal and community hygienic needs. The kits are distributed to women in third world countries. 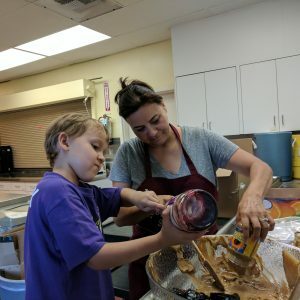 Make sunflower butter and jelly sandwiches, plus hygiene kits for Salvation Army to be given to the homeless. Serve dinner to and engage in fellowship with 350-400 needy brothers and sisters in downtown Santa Ana. Help sew and assemble quilts for members, visitors, and their loved ones. 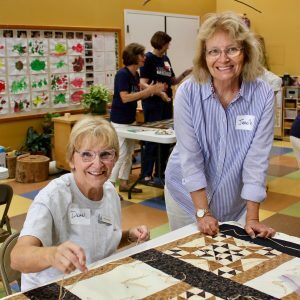 You do not need to know how to sew or quilt to participate. 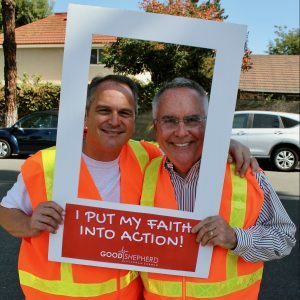 We ask our entire congregation to serve in activities that will benefit our local and global communities. It is a day of worship, service, fellowship, and celebration for all that God has given us. As a yearly Lenten Discipline, we encourage our church to save $5 a day. Instead of spending that money on a treat, discipline yourself for the 40 days and feed that money to the pig instead. Your Lenten savings will provide a year of tuition, books, school supplies, school lunches, and a uniform to a Haitian child who otherwise would not be able to attend school. Our giving supports the Three Strand Cord “Save A Seat” scholarship program. We encourage you to submit your donation directly to Three Strand Cord by CLICKING HERE. If check is preferred, make check payable to “Three Strand Cord” and mail or drop off the check at church. Sometimes, the most effective way to serve is not with time, but rather with tangible goods. All donations can be dropped off at the church on Sunday mornings or during weekly business hours. For more information please contact a member of the Outreach Team.